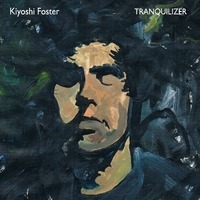 By the end of Tranquilizer (released March 29), the new long-player from Bay Area singer-songwriter Kiyoshi Foster, one wonders how he’s not rubbing shoulders on the airwaves with Jack Johnson, Dave Matthews and recent singles from elder statesmen like Tom Petty and Bruce Springsteen. Kid is just that solid, a real natural at songs that feel familiar right from the first spin without being derivative. It’s just another sign that talent isn’t really the barometer of success or general awareness anymore. He’s surrounded himself with some of the best (and equally undeservedly unsung) musicians in the region, roping in guitar-god-in-waiting Sean Leahy Tracorum’s Mark Calderon (bass) & Fletcher Neilsen (keys), Tea Leaf Green’s Trevor Garrod (keys), and other choice collaborators. Despite the mix of constituent parts Tranquilizer moves of a piece, the pacing and sequencing beckoning one towards the emotional ending, dropping ska-wise skippers and floating reflections amongst the purely catchy stuff. “Colors so vivid I remember every single one/ All the music all around/ Magic sounds coming up from the underground,” croons Foster with a mischievous edge to his strong, breezy voice on “Yesteryears,” just one of several numbers that seems like it’s already a radio friend. This is music that would sound just right blasting out of boom boxes at the beach or over a car stereo, loud with the windows down, sun big and bright above, the wind tousling one’s hair. At several points, Foster strongly brings to mind Bruce Hornsby at his easy going best – a craftsman supreme who never lets the listener see his hard work. “Love You So Madly,” “Golden Streets” and “Echoes of You” would all have been hits for Hornsby, but for an un-established talent like Foster it’s a tougher nut to crack. Still, Tranquilizer shows Foster maturing into the kind of artist that may give these old hands a run for their money one day. This is what I call “Good Companion Music,” pop inflected rock that sits comfortably in the passenger seat of our lives, ready for any road we travel down, there to offer us snippets of wisdom and a pleasant tune we can sing-along with.